As the season comes to close, Seth Eliason, senior, captain, looks to cherish his final moments on the Royals nordic team. Eliason started skiing at a young age. 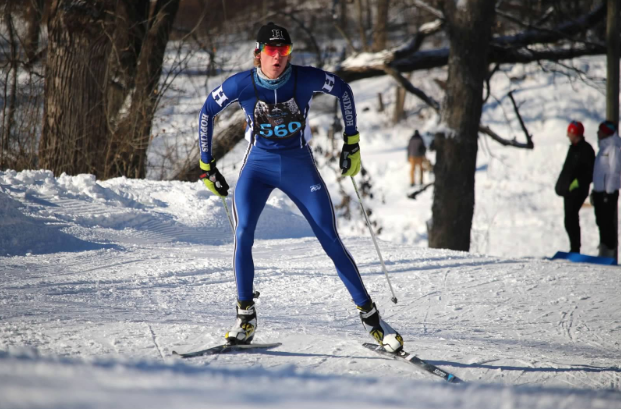 Eliason used his cross country skills to his advantage when he initially got into the sport. Eliason has had a successful season so far this Winter. Although Eliason had a tough end to the season, he is still looking at the bright side. The boys team has a bright future ahead of them with guys like Logan Hoffman, junior and Isaac Eng, junior at the helm. The team has had plenty of surprises this season. Eliason also has had success in cross country running. “I actually went to nationals for cross country,” Eliason said. Eliason will continue his education and cross country running at Georgetown University.